ArcoLinux is special because we have themed and tweaked many applications. 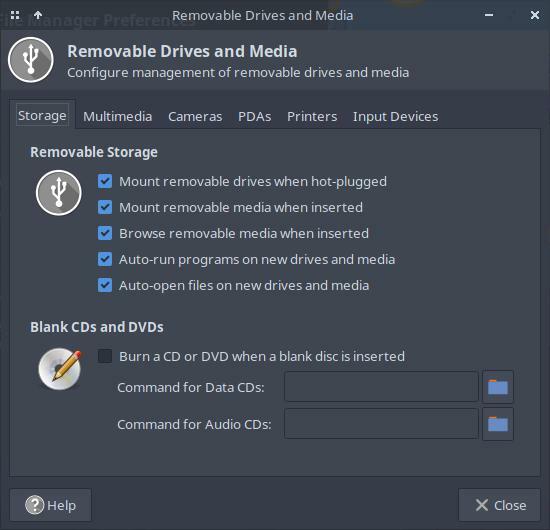 When we put in a usb or an external harddisk, Xfce will not automatically mount or read this usb. ArcoLinux will automatically mount a usb. During testing I wanted my smartphone to show up and that is when I decided I did not want to set these settings after every clean install. It is tedious work and it will save me time and frustration. And that is why ArcoLinux is special. We have set the look of the terminal. The look of the calculator. The look of geany is dark. Those settings are not the standard settings. They all hidden gems and they are mostly in ~/.config folder. You will find that out in phase 2 when we install all the applications ourselves without any predefined settings. 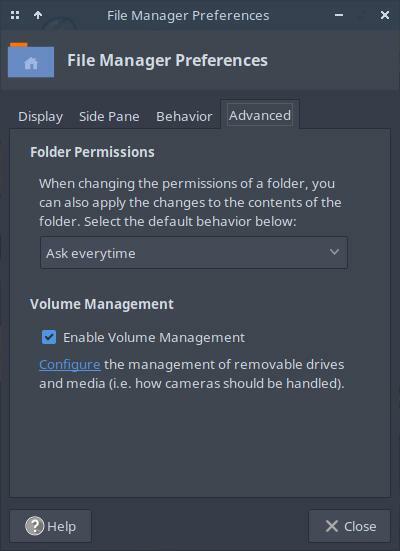 Now if for some reason you do not want this behavior from Thunar, you need to go to Thunar and set the preferences you want. TIP : Check out the other tabs in there.